The gelaterias are opening their doors. Puddles in the cobblestones sparkle in the sunlight. Rainstorms are rushing through, and leaving in their wake warm spots and green buds. During one of these post-rain spells yesterday, Jack and I walked down to Trastevere to buy a birthday present for Agnese, whose party is today. 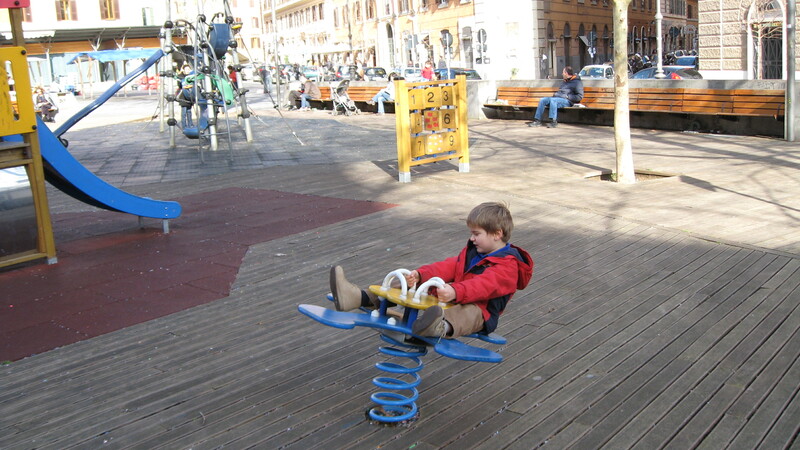 Our favorite destination for toy and art-supply shopping is Piazza San Cosimato, which has an open air market, a playground, great scootering terrain, and three toy stores. 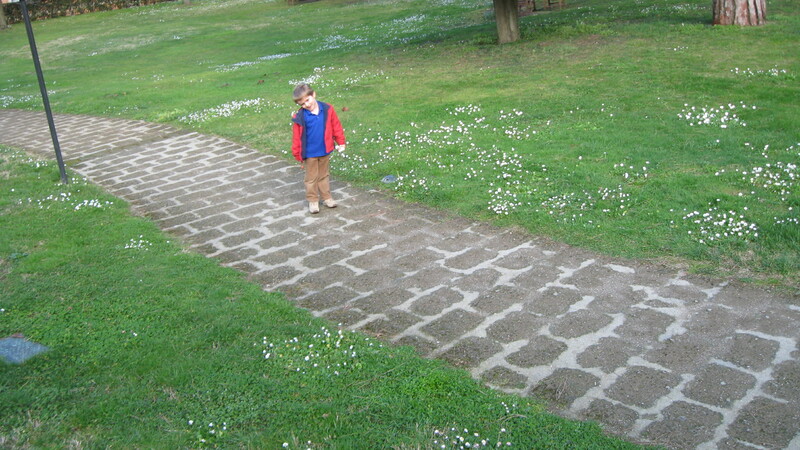 After picking out a magic wand and a set of stamps complete with ink-pad and pouch, we went to the playground. After bouncing and climbing and swinging and staring at the winos, Jack was ready for our next stop: Fior di Luna gelateria, where all of the ingredients are organic, local, and/or fair trade, and the gelato tastes intensely of its few flavorful parts—whether those are pistachios, vanilla beans, or blood oranges. 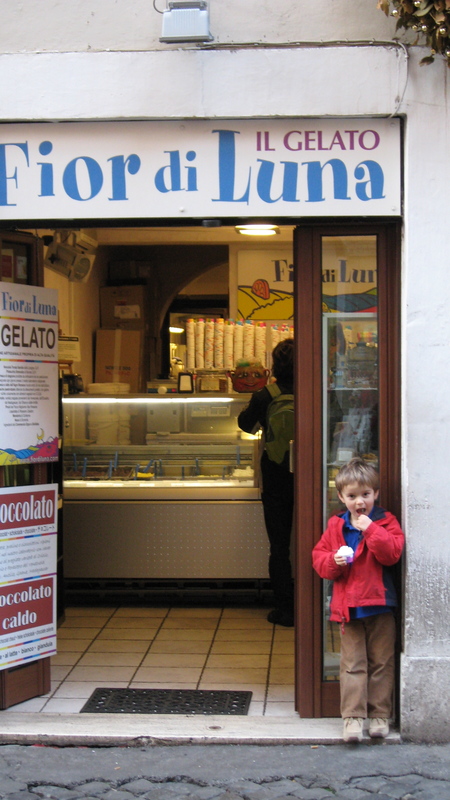 This gelateria also uses only seasonal ingredients, so the flavors that dominate now are citrus, nuts, and chocolate. Spring is on the way, though. 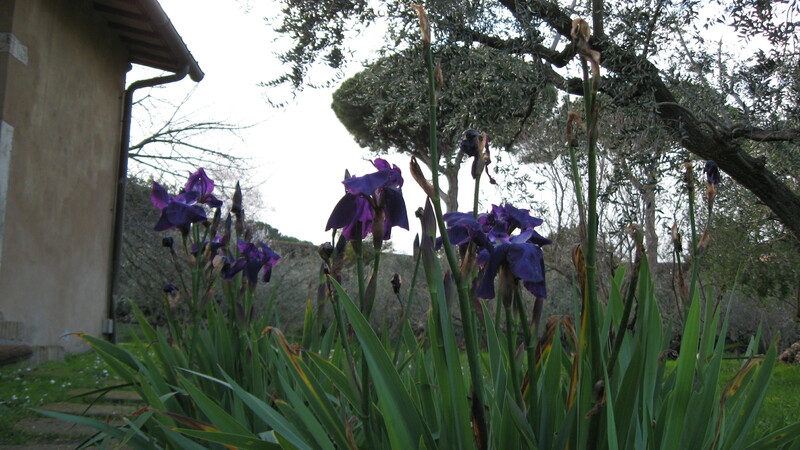 Look at the flowers popping up in the Bass Garden!